Same Day Veneers in Camden, London Camden, London | Cosmetic Dentist | NW1 Dental Care. Always wanted that perfect smile but don’t want to wait weeks for the lab work to finally arrive? 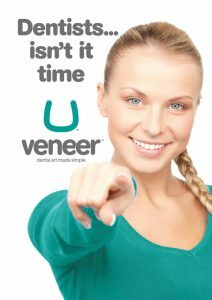 Uveneer is an innovative veneer template system that makes direct composite veneers easier, faster and more predictable. Endorsed by leading cosmetic dentists around the world Uveneer system was created by dentist for the dentist. The system was designed to make it easier and faster for dentists to create direct composite veneers with predictable shape, polish, and symmetry, in one visit only making the results great for both dentist and patient! At NW1 Dental Care use an organically modified compo-ceramic material which mimic the appearance of beautiful, healthy teeth. The material is carefully shaped over the teeth and a special template placed over to create an even, beautiful new smile. Quick, long lasting and easy to repair, same day veneers are increasingly becoming the treatment of choice for small, chipped, eroded, large unsightly filled or slightly crooked teeth. Who can have Uveneers ? What are the main advantages of using Uveneer? What are the constraints for composite veneers ? Can Uveneer be used with children? As there is minimal prep involved it Is an ideal choice for children as no need to give anaesthetic, quick and pain free. Will the shine from Uveneer last? The shine from Uveneer lasts and continues to look like a natural tooth because the template is used as an oxygen barrier, preventing the air-inhibited layer. Normally composite veneers last for 3-5 years on average. However, if proper care is taken these could last even more. The key to longevity is keeping good oral hygiene and routine dental check-ups.